Robert J. Dimeff, MD, is a new addition to Texas Orthopaedic Associates, LLP, coming to the practice as a sports medicine physician and a specialist in regenerative medicine and nonoperative orthopaedics. Dr. Dimeff joins the team after spending 2009 to 2018 as director of Primary Care Sports Medicine at the University of Texas Southwestern Medical Center in Dallas. He also currently serves as the team physician for the NHL’s Dallas Stars, consultant physician to the World Olympic Gymnastic Academy, medical director of the Dallas Rock-n-Roll Half Marathon, and member of the United States Anti-Doping Review Board. After graduating from Kent State University in Ohio, Dr. Dimeff received his medical degree from the Northeastern Ohio Universities College of Medicine, where he was recently given a Distinguished Alumni Award. He then completed a residency in family medicine at Chicago’s Rush Medical Center and a fellowship in primary care sports medicine from the Cleveland Clinic. 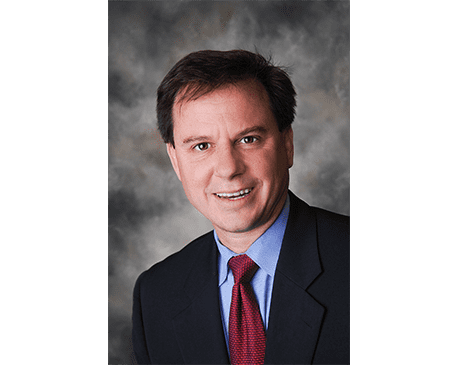 Dr. Dimeff is board-certified in family medicine and a fellow of the American Academy of Family Physicians, with a certificate of his qualifications in sports medicine. He is an active member and former president of the American Medical Society for Sports Medicine. Dr. Dimeff has authored over 40 articles and frequently lectures at regional, national, and international medical conferences. He sees patients at the Texas Orthopaedic Associates, LLP, Sports Medicine office on Walnut Hill Lane in Dallas.